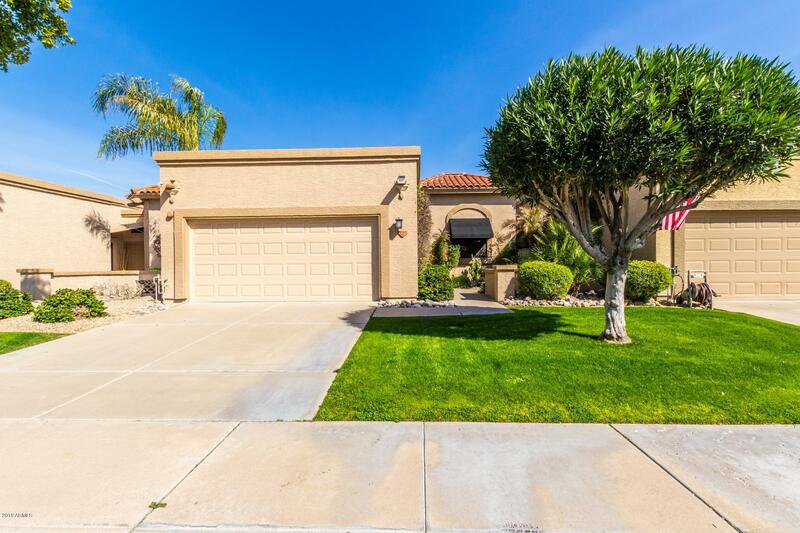 All SUNTREE EAST homes currently listed for sale in Scottsdale as of 04/18/2019 are shown below. You can change the search criteria at any time by pressing the 'Change Search' button below. "Updated 2 bedroom, 2 bath 1,378 sq. ft. abode within Scottsdale's coveted Suntree East gated community. Lush, green grass in the front yard maintained by HOA. Kitchen with custom lighting, custom cabinetry, granite countertops, and state-of-the-art, stainless steel appliances. Spacious family room perfect for entertainment features bar area, stone fireplace. wood flooring thru-out w/ arcadia doors to covered brick patio with beautiful shade trees. Master bedroom boasts separate exit into the ba"